More than 141 million smartphones are now running software that can log everything a user does and sees, including private web browsing, incoming texts and even which buttons are pressed. The application, called Carrier IQ, runs in the background unbeknownst to consumers and captures user and phone data as evidenced in this video shown on Wednesday. So how do you know if your handset is running the Carrier IQ software? While details of how widespread Carrier IQ’s service are still coming to light, all the demonstrations so far have shown it on Google Android(s goog) phones. There is some evidence Apple’s iOS (s aapl) had Carrier IQ integration two years ago, but no data showing it’s currently in use. For now then, the focus is on Android, and there’s an application that can tell you if Carrier IQ is on your Android phone. 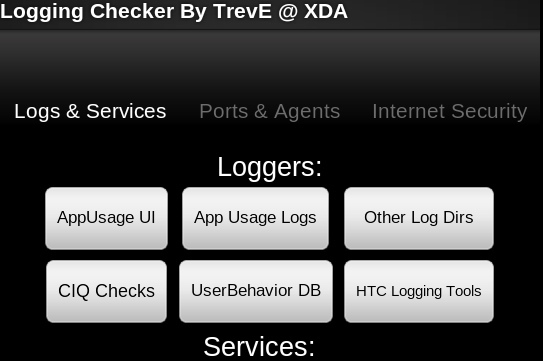 The free software is available from the XDA-Developers site, where Carrier IQ’s activity was first pointed out. The app, pointed out by TheVerge, is bare-bones and was quickly developed by Trevor Eckhart, the person who demonstrated on video exactly what Carrier IQ is capable of. His detection software is called an .apk file, which is the standard Google Android application installation method, so don’t panic if you’re not familiar with the term .apk. Eckhart has several versions of the software available at the bottom of the XDA topic page; at last check, I saw seven, because he added more security detection features as he developed the app. The one of most interest, however, is the Carrier IQ check, which is performed with a button tap after the app is installed. I ran Eckhart’s app on my Samsung Galaxy Tab and Google Nexus One; both are free of Carrier IQ software, but I expected that. Both devices run custom versions of Android I installed myself. Carrier IQ is installed in the software versions from either a carrier or a hardware maker, and since I’ve overwritten their software, there’s practically zero chance my devices are spying on me.